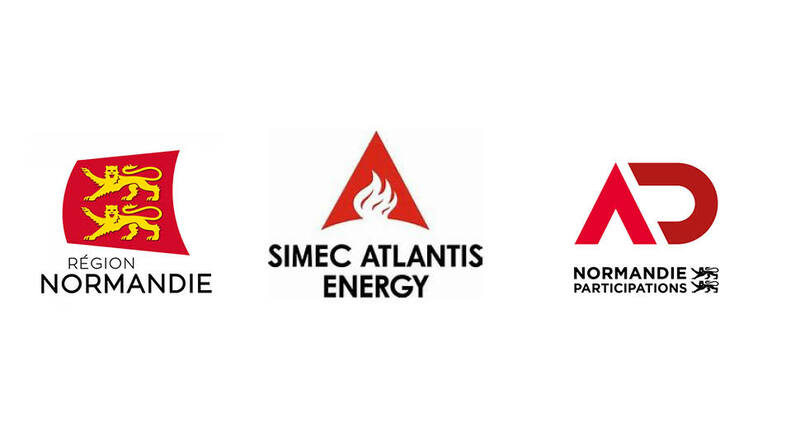 Listed on the London Stock Exchange’s AIM since 2014, SIMEC Atlantis Energy is a global developer of renewable energy projects with more than 1,000 megawatts in various stages of development including the flagship tidal stream project, MeyGen, which entered into operations in 2017. Atlantis’ core business is to develop, finance, construct and operate large scale, sustainable energy projects in the United Kingdom, Europe, Australia, North America, Asia and emerging markets. Normandy Development Agency is the one stop shop for all businesses related to companies’ development in Normandy and funded by the regional authority of Normandy. Normandie Participations, which takes part in Normandy Development Agency’s activities, is an investment fund dedicated to companies having their head office in Normandy. In order to achieve the regional ambitions related to tidal energy deployment, SIMEC Atlantis Energy and Normandie Participations formed “Normandie Hydrolienne” in 2018, a Joint-Venture company located in Normandy which aims to developing tidal energy projects in the Raz Blanchard This is an excellent opportunity to join a pioneering company and lead a world first project. The operation coordinator shall be in charge of the day to day operations and management of Normandie Hydrolienne and shall have substantial powers of management which he or she shall exercise subject to the overall direction of the Supervisory Board. – Must have strong leadership skills, in-depth knowledge of markets and changing business environments, facilitation and planning skills with experience in large industrial projects. Relevant experience in a European or International project would be a plus. – Based in Normandy, with regular travel to Paris, Brussels, Edinburgh, London and other European destinations. – Ensures the safety of all personnel working in connection with Normandie Hydrolienne.